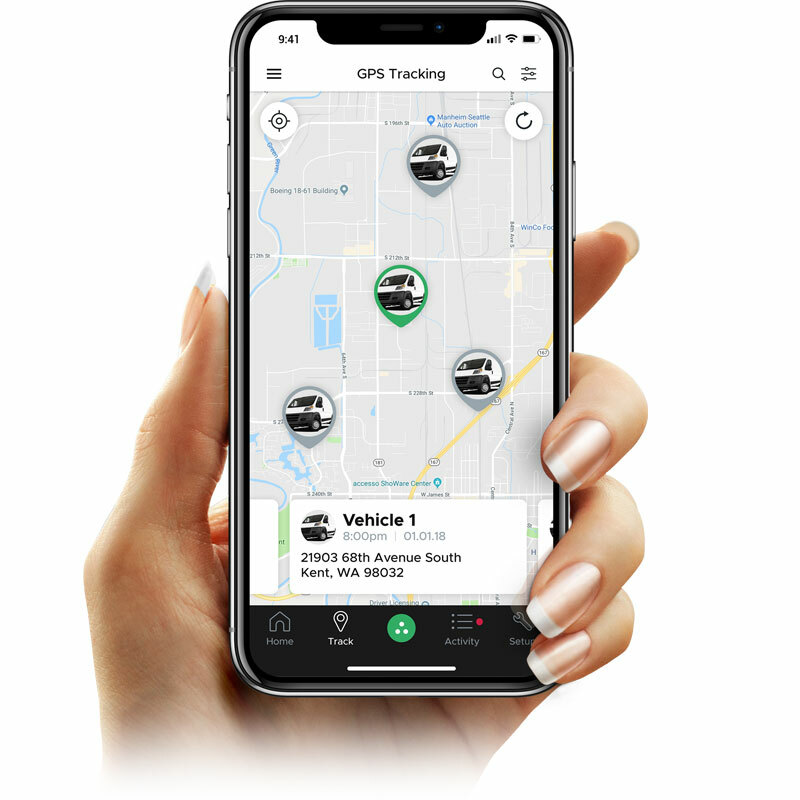 Keeping you, your team, and your vehicles connected. 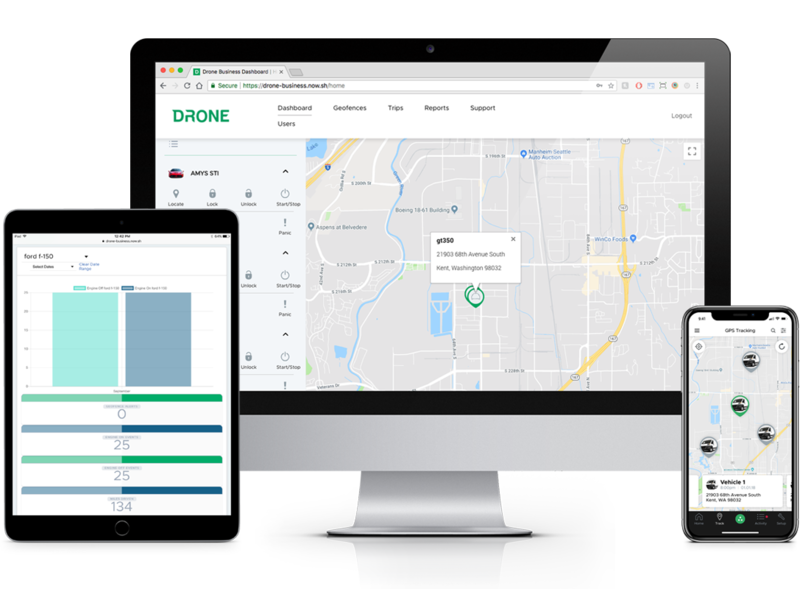 Drone Fleet is designed for fleet operations of all sizes and seeks to provide business owners and drivers with the information you need to improve productivity, driver safety, and more. Drone Fleet gives you real-time alerts for speeding, idle time, geofence violations and after-hours driving. Drone Fleet's trip reporting will help you view the route a vehicle has taken, with detail that includes GPS breadcrumb trail, miles driven and trip length in time. Drone Fleet's trip reporting tools allow you to see where your fleet has been, how long a trip took, how many miles were driven and where a geofence violation occurred. Your Drone Fleet can also be accessed using the DroneMobile smartphone app for iOS and Android devices. Receive instant push notifications when your configured alerts are triggered so that you stay on top of your fleet. 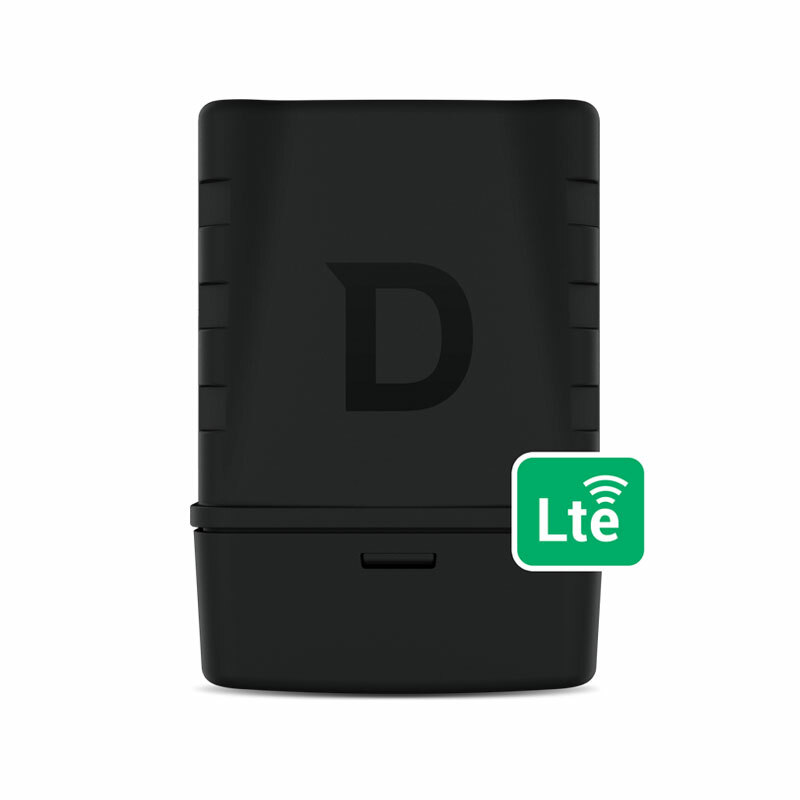 Every Drone Fleet system is powered by the DR-5400 LTE module. This module has built-in cellular and GPS antennae for high availability and lightning fast communciation speeds. The DR-5400 is compatible with all vehicles. This module can be installed as a standalone tracking system, or can be intergrated with an aftermarket remote start or security system for unlimited range control. Regardless of the size of your business, DroneMobile offers a fully-scalable solution that can enchance any business operation. 1, 2, and 3-year prepaid plans display Monthly pricing, but are billed in full at the yearly price.